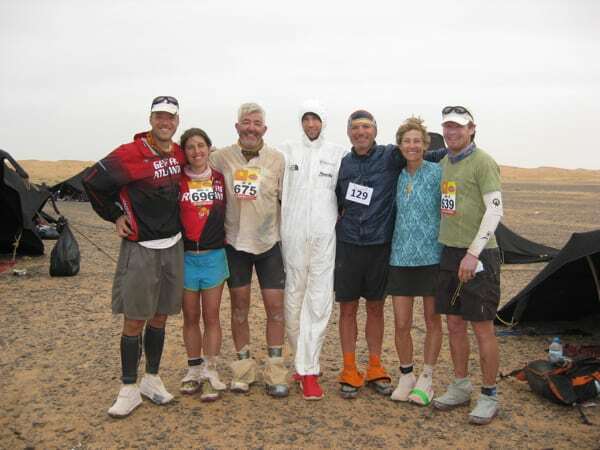 Tia and her tentmates at the 2010 Marathon des Sables. From left to right: Lane Vogel, Jennifer Vogel, Toby, Michael Wardian, John, Tia, and Jay Batchen. Photo courtesy of Tia Bodgington.